Homeschooling during the winter can be hard. Not that it can’t be hard other times of the year, but winter is so gray and so cold and so long. And, at least in our home, the motivation is so very low. Sometimes you might even fantasize about sending them back on that big yellow bus. Some call it a slow down. I call it homeschool hibernation. 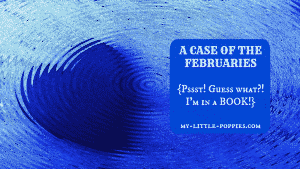 Many more call it a Case of the Februaries. Whatever you want to call it, we all experience it. 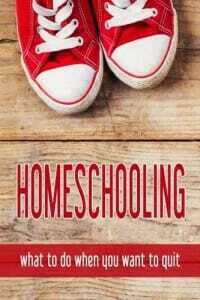 You are not alone, homeschool mama. Do you know what helps me when I’m suffering from a Case of the Februaries? Other homeschool moms. It’s important to have a community of moms to talk to so that you don’t feel so alone. Over the past two years, I’ve been able to expand my community of amazing moms, thanks in large part to sites like Gifted Homeschoolers Forum, GeekMom, iHomeschool Network, Simple Homeschool, and Year Round Homeschooling. This February was cold and gray and long, just like the others. But it ended on a high note. Because guess what, you guys? I’m in a book with a bunch of awesome homeschooling mamas from iHomeschool Network and instead of making you say BANANA, we are going to help you on your worst homeschool days. This book is a pick me up. It’s like a big ol’ homeschooling hug. I promise it will help you with your next Case of the Februaries. I celebrated the very last day of the very worst month by ordering my own copy. I cannot wait ’til it gets here.